Kayla and Kevin met in high school and dated for a while before life took them in separate directions. They wanted different things in life, and off they went to find them. After a few years though, the universe brought them back together. They celebrated their two-year wedding anniversary last summer with with their gorgeous baby girl. 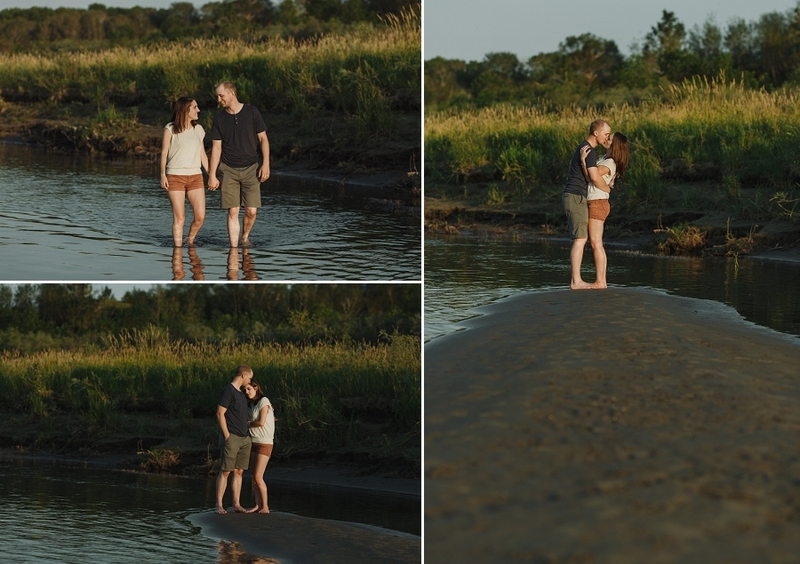 We met up not long after their anniversary, on my favourite beach just outside of Saskatoon. It was the hottest day of July so far, but the perfect evening for goofing around, snuggling, and cooling down in the river. Kayla and Kevin made a date of it, getting a babysitter so they could linger into the evening, making the most of their stolen moments alone. Enjoy some of our favourites from their Connection Session. Saskatoon couples portraits by Copperblue Photography and Design. Saskatoon engagement and wedding photographer specializing in rural weddings, farm weddings and lake weddings in central and northern Saskatchewan. this is so sweet, I love your connection sessions! This is so beautiful! Good for them for doing this for themselves! Thanks Jenn! I love that they made a date night out of it! Beautiful photos! They have such a great connection! Thanks Sheri! They really do have such a natural connection, they were so great to work with. all things love and summer – my favorite! Haha mine too! Thanks Allie! Thanks so much Diane! I love shooting connection sessions too, I need to do some more of them this year! Love these, you always find the best locations! Thanks Rose! This beach is one of my favourites!